There are some many things I am in love with right now, and it’s Friday, so… you know the drill! All of it. Instagram feed. Twitter feed. Website. And app-in-development. I love that ladies can come together and love the Lord and grow in their knowledge of Him together. Irons sharpens iron. Will you consider donating and sharpening with the #SRT sisters? I don’t have a picture for this one, but I’m enjoying salads lately. Dinner. Lunch. Just because. Last night I had one with bacon, hard boiled eggs (yuck – took out the yolks! ), goat cheese, cabbage, and spinach. Today I had one with strawberries, spinach, sliced almonds, golden raisins, and goat cheese. SO GOOD. Maybe it’s because summer is practically here and salad seems like a warm-weather food. I know this is basically poison, but it. is. SO. good. An early birthday present. And it’s on sale at Kohl’s for $21! So fun and both springy and summery! And that’s a wrap – for this week. 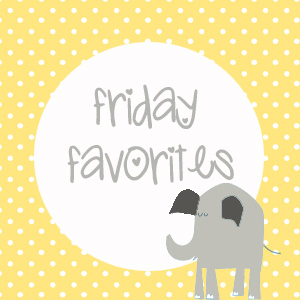 What are you enjoying this Friday?